It’s always so much fun to participate in What I Ate Wednesday! Last week it was double the fun because we also go to play a second time with What I Ate Thanksgiving. It was great. So Glad that Jenn at Peas & Crayons decided to through in the extra party. Every week could use two! Be sure to stop over at P & C to check out what all of the other fun bloggers are eating today…and of course, leave a comment! I’ve been working hard at making careful, good food choices to stay on track during the Holidays. I think I’m doing pretty well with my efforts. One of my very favorite lunches. A Subway veggie. My version is the wheat bun, pepper jack cheese, spinach, jalapeno, sweet peppers, onion, black olives and Southwest chipotle sauce. So very satisfying! Yummy oatmeal at our weekly post Weight Watchers breakfast. This week they gave us the cinnamon on the side so I had extra!! Also fairly traditional is our Sunday morning egg sandwiches. 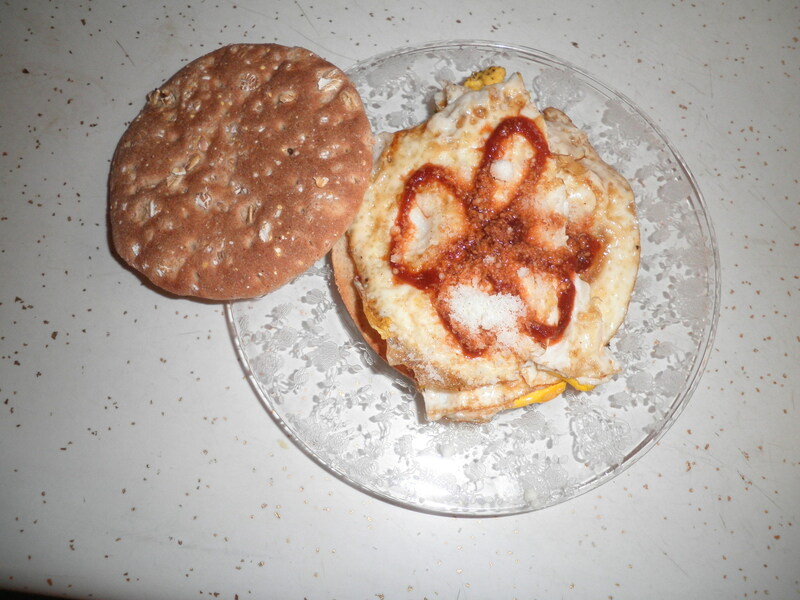 I try to get creative with the sriracha sauce…sometimes it doesn’t work. 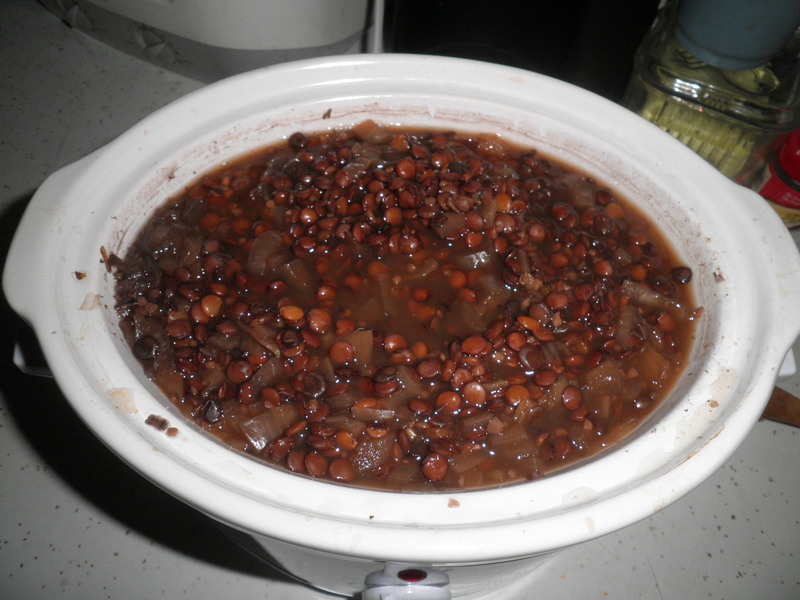 I cooked up a crock pot of lentils which was an experiment that worked! It led to several meals. First over quinoa with Locatelli cheese. Monday nights ingredients. 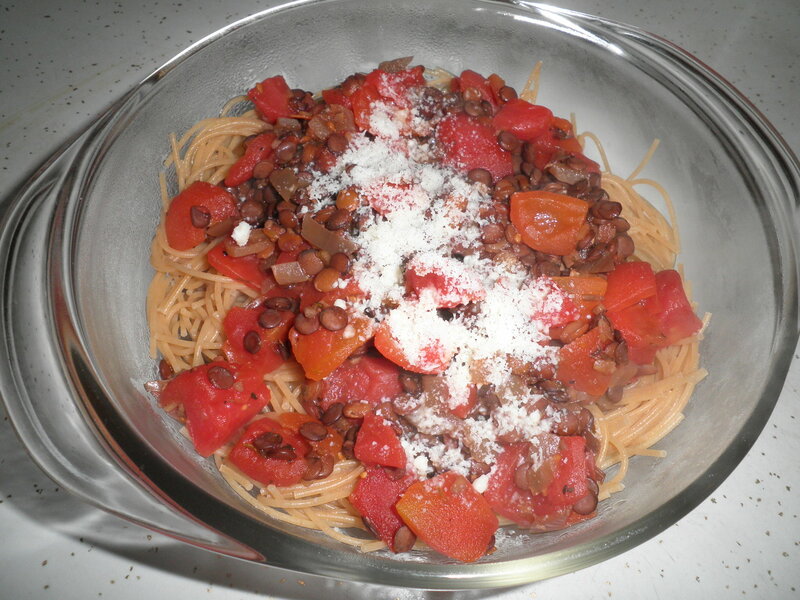 Lentils, diced tomatoes and whole wheat pasta. Topped with Locatelli cheese…Again!! This was so good, easy and cheap! I really need to start calculating cost on some of my dishes. I think that’ll be a project for the New Year! 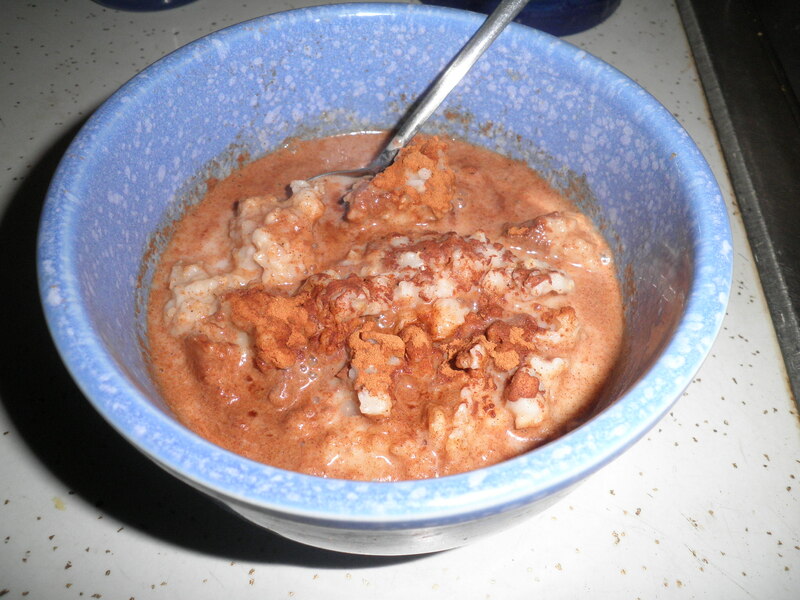 The last of the crock pot oatmeal I made at the end of last week. It’s such a great idea to make it that way. When it’s finished, I divide it into 5 servings and store it in the fridge until I’m ready to eat it. I love it. I’m feeling comfortable that I can stay in control. Each day, I do my best to stay on track. I think I can be in charge for the coming Holiday challenges. Each day, I do my best. Be sure to stop over at Peas & Crayons to check on what everyone else is eating! Happy What I Ate Wednesday! In the Zone! This entry was posted in Uncategorized and tagged crock pot, WIAW. Bookmark the permalink. So proud of your self discipline (you must have gotten that gene, I certainly didn’t!) One day you have to share with the Cookies where “lentils and macs” came from! your comment about saturday morning egg sandwiches reminded me that at our house, it was sunday evening egg sandwiches! yum! that would be a fun project, to calculate meal costs…as long as it wouldn’t hinder/take time away from your reading goals for 2013 – haha! Absolutely, Cathy!! It would be something I could do as I shop and cook and if I just kept up with it, it could work. Think I’ll work on that! Your title reminded me of the commercial… “Get in the Zone. AUTO ZONE.” Not sure if you have seen/heard it, but it is so cheesy and now I can’t get the singing voice out of my head 😀 Haha. That’s pretty cool that they give you oatmeal at your Weight Watchers meetings. I would definitely add a lot of cinnamon too! Oh. That would have been awesome though!!! 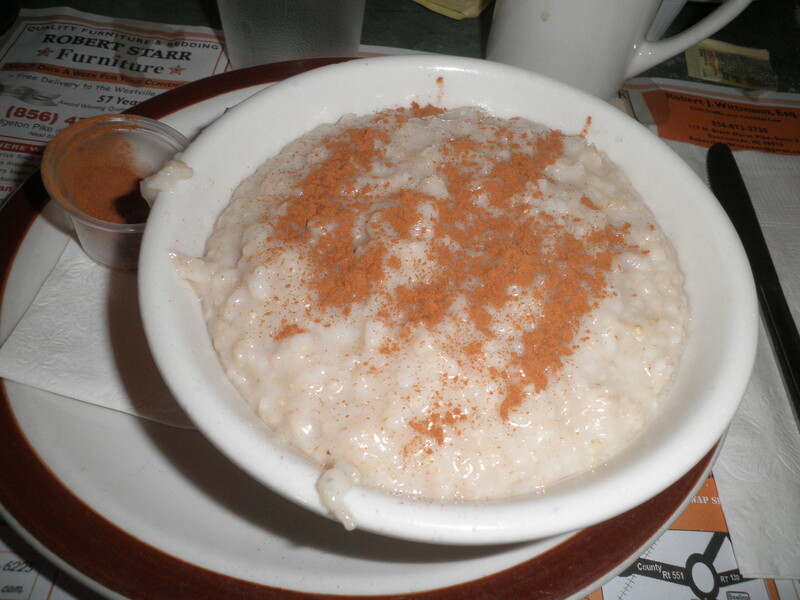 This is the diner we go to every week and they’re very nice to us, but this was the first time we got extra cinnamon…Score!! Finding that balance between enjoying this time of year and feeling in control of our choices is such a gift! Yay for you on doing it so well. Thanks, Diane! Each of us has to do it for ourselves. It’s something that’s learned and we are each responsible. Thanks for your support and have a great day! Good for you for keeping on track. I’m afraid I eat chocolate from Halloween through to Valentine’s Day! 😉 I love the Subway veg too. I do it without cheese and ask for lots of extra pickles. Hi Joann! Thanks for stopping by! You’re with my husband, Ralph…he’s the pickle man in the family! I’m really trying to stay on track. I try to keep chocolate out of the house…very risky for me! Please visit again! Marie, you’re so right that Subway is great when traveling. I always try to get Ralph to stop at the travel centers that have them. Life is so much easier that way. A Fran thing, huh?!? I love it! I want to know what you make from the black beans! Have a great day! That sandwich looks so good. I want to go to Subway now! I love lentils too, Dana. In fact I’m looking for more recipes. Have a great day! Ok, Mass…now you have me laughing out loud. Mmmm…wonder what would happen if I put that many chocolate chips in a crock pot…Yum! Glad you like my crazy artwork! Great looking eats! Eggs, oats, and lentils are some of my favorites 🙂 TJ’s has a box of steamed lentils that are a great, ready to use, timesaver for quick meals! Hi Allison, thanks for stopping by! It’s funny…I was just at Walmart and saw pre-cooked lentils. Interesting. I love eggs, oats and lentils are something I remember from my childhood…Gram always made them in various recipes. Please visit again! Good for you for trying to make healthy choices during the holidays. All your food looks really good.. like always. I’m craving an egg sandwich now! 🙂 Have a great week! Thanks, Shannon…I’m going to give it my best try to eat healthy. I could actually eat egg sandwiches every day. My favorite! 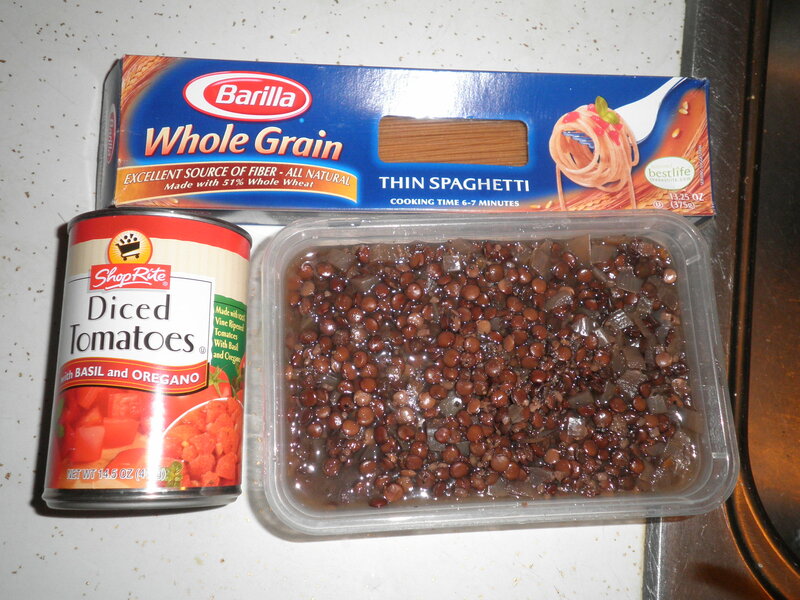 That crock of lentils looks AMAZING! ❤ your blog! Hi and thanks for stopping by! 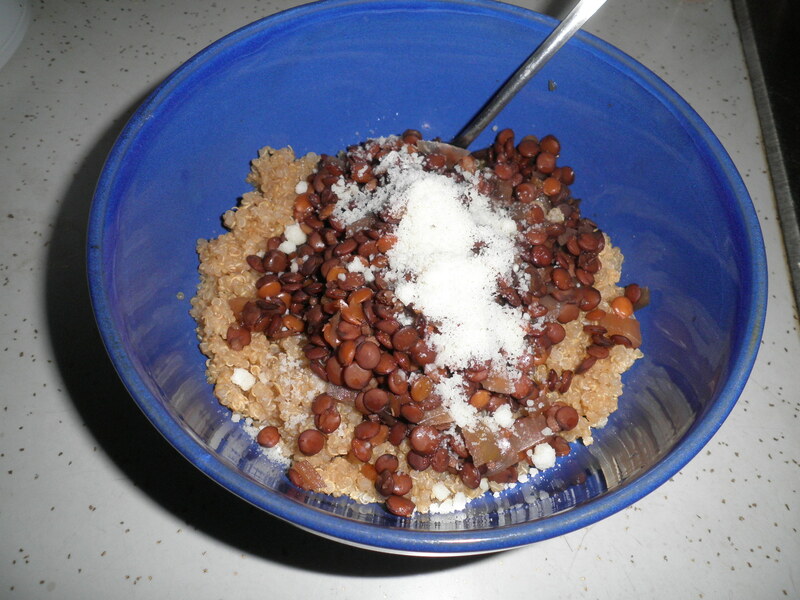 The idea for the lentils just came to me, but it won’t be the last time I make them. They’ve worked really well. Glad you like BCDC..please visit again!! Props for doing good with your efforts to stay healthy during the holidays! I’ve been craving Subway lately, and your post isn’t helping. Haha. Hi Joanna! I guess I’d say it’s my best defence to be mindful and make the best choices I can as often as I can. I just love Subway! We go about once a month…but I could eat my veggie every day! Have a great day! Look’s like you are doing great this week. That sub is making me hungry!!! Oh, the past dish looks really good to. Keep up the good work! It looks like you had no trouble staying on track. Great job, and I love Subway. I always get the veggie on wheat too! Hi Meghan! I’m doing my best to stay on track. Subway and the veggie on wheat are my faves! I was so excited when the included pepper jack cheese to their line up. Yum! Have a great week! BTW, that Subway sandwich looks amazing! Our Subway sandwiches don’t look anywhere near as spectacular as that!! Hi Sharon! 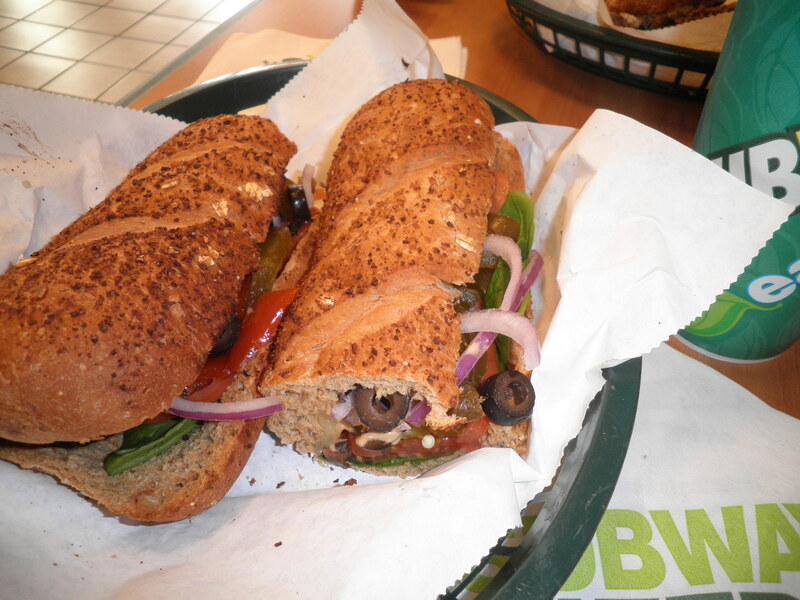 Yes, the sandwiches at our Subway are always tasty and look delicious! I’m trying my best to stay on track. One day at a time! !